A couple of weeks back, after an Erie Otters victory, I can remember leaving the locker room area to head back up to the press box. The sight that I saw on my way back is something that I will not soon forget. In the corner of the rink nearest the Zamboni entrance, was a gate separating the stands from where the players leave the back of the arena. There had to have been over 100 people waiting for the players to go by. All of them were hoping they could get an autograph from the one deemed “The Next One”. And there he came out. Connor McDavid, all dressed up in one of his better suits, made his way to that corner of the arena. Not only did he sign autographs. He took pictures. He chatted with a couple of the fans. When the dust had settled, McDavid signed every autograph that was asked of him. You just knew, at that moment, there was something different about this player. Ever since he arrived in Erie, Connor McDavid has been nothing short of excellent, whether it be his play on the ice, to how he handles himself off the ice. 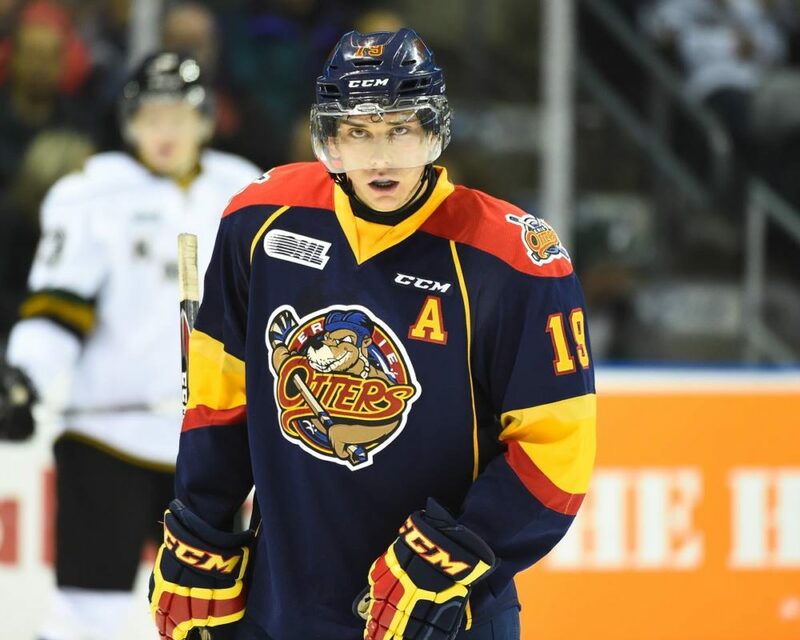 He has had a major role in the Erie Otters being a team of relevance again. McDavid graciously granted me a few minutes to talk with him about several topics. 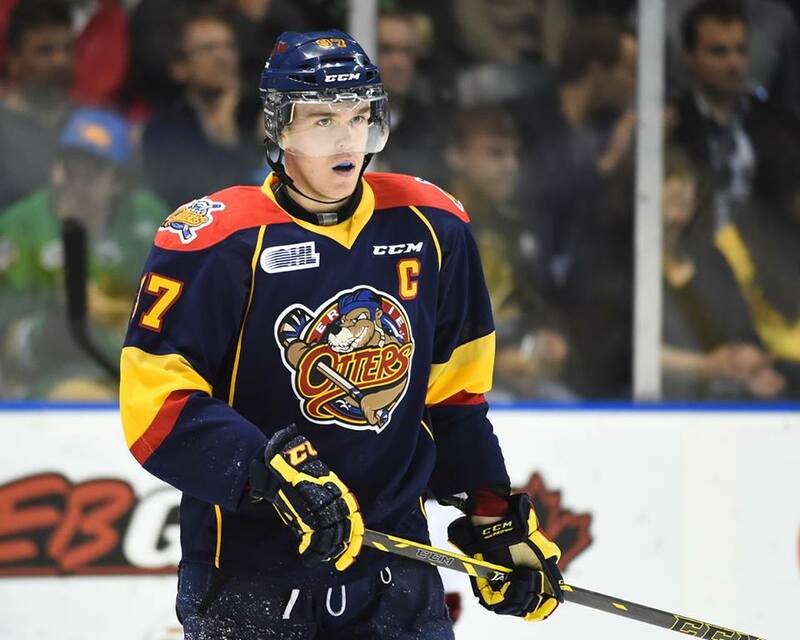 In Part 1 of our conversation, we focus mostly on the Erie Otters and preparing for the OHL playoffs. In Part 2, we dive into the future and talk about his transition to the NHL. The Hockey Writers: Well Connor, it just seems like yesterday, that you were being drafted 1st overall by the Erie Otters. When it is all said and done, what would you say would be some of the best memories of Erie you will have? Connor McDavid: Well, I’m hoping that some of the ones are yet to come. I have had a lot of great times here. It is winding down now for sure. The season is winding down, and we have a good chance here to do something pretty special, so hopefully the best memories are yet to come. THW: You get less media attention here in the states than you would in Canada. Do you feel that has helped you in your development, and if so, how? McDavid: I think so. I think just being able to be yourself, and not worrying about who is bothering you makes it a lot easier to play. THW: In terms of playoff preparation, you’ve been through the OHL playoffs once before. What do you feel like your team needs to do this time around to be more successful in the playoffs? McDavid: Everyone just needs to be able to step up their game and their intensity, whatever it takes to be ready. I think that it is good that people (the team) kind of know what to expect this time around. THW: This season was the 1st for you as the Erie Otters captain. What are some of the biggest things that you have learned this season in being a captain? McDavid: I’ve certainly enjoyed it. It has been a great experience, and it’s been a bit of a learning process. I’ve been a captain before, so I’ve had to learn the way, I guess. But it’s been a very good experience. THW: You get most of the attention, but there are so many other players on this team, like Dylan Strome, Nick Baptiste, Remi Elie, and Alex DeBrincat. For those that are on the outside, give us a sense, of just how good these players really are? McDavid: They’re all unbelievable players, and it’s not just the ones you’ve mentioned there, it’s a whole bunch of other players as well. We have a really good team here, and we are looking forward to doing something special. THW: Tell us something about you that many would be surprised to hear, something that we would say, whoa, we didn’t expect that from you. McDavid: (Paused for a moment) I don’t think there is anything really. My life has been a pretty open book. Everyone pretty much knows everything about me. THW: When times get tough, and you need to be able to talk to someone, who do you depend on in those situations? McDavid: Probably my dad. And also to my family and friends. All told, I have a really good group around me. THW: You know, every time I walk out of the arena, I always see you signing autographs. I think it is one of the more classy things you do. Is that your way of thanking the fans who are out there waiting for you? McDavid: Yeah, of course. If they are going to wait around after the game, I can take a little bit of time to sign some autographs. THW: Have you had to say no before? McDavid: Of course. If it gets too out of hand, then you have to make sure that you are taking care of yourself first. THW: What is the craziest autograph request you have received, what has a fan wanted you to sign? McDavid: Actually, just last week, this kid wanted me to sign his FOREHEAD (we both laugh for a minute). I said no to that one. THW: And, that bobble head, it doesn’t even really look like you. What did you think of it when you 1st saw it? McDavid: I think it was pretty cool. It doesn’t resemble me too much, but it was still cool. THW: What do you like to do for fun? What are some hobbies that you like to do when you are not on the ice? McDavid: I just like to hang out with the guys, we are a pretty tight group. Don’t let the short answers fool you. He is straight and to the point, with a level of humility rarely seen in the game of hockey. He is the kind of player that loves talking hockey for hours on end.